There’s a wide variety of online slots to choose from when picking the best superhero-themed slots; slots fans will be well aware of the wide range of Marvel slots produced by both Playtech and Cryptologic but the latter have also developed games based on DC Comics characters. 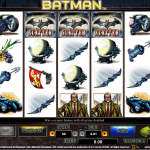 The Playtech slots are newer and are therefore of generally better quality but Cryptologic’s Batman is one of our enduring favourites and just sneaks into our top five. Read on for the full list. 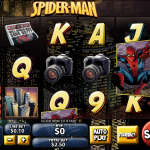 Spider-Man: Attack Of The Green Goblin is one of the more recent of Playtech's Marvel slots and it's a brilliant comic book-styled slot with a ton of bonus features. The graphics and aminations are probably the best of any superhero game and the progressive jackpot means it's a pleasure to play. Click here for the full review. 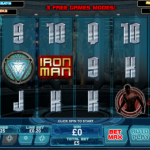 Iron Man 3 is obviously the third in Playtech's Iron Man series of online slots and it's based on the superb series of Robert Downey Jr movies. 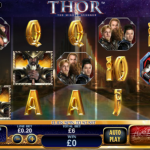 Loads of bonus features and the Marvel progressive jackpot mean it's a winner. Click here for the full review. Thor The Mighty Avenger takes us into the world of Norse mythology and showers us with bonus features galore as it tells the tale of Thor and his evil brother Loki. The progressive jackpot is the icing on the cake.Click here for the full review. Batman is the only one of our top five not by Playtech. Cryptologic produce a more dated version of Marvel slots but this is based on the DC Comics character and it's a top notch gaming experience. There's no progressive jackpot but they're not always necessary.Click here for the full review. 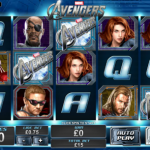 Avengers Assemble was perhaps the best of the recent crop of Marvel movies and this slot fits easily into our top five, featuring a range of superheroes all doing the business. Lots of bonus features and the progressive jackpot mean you should not miss out. Click here for the full review.